On the basis of the concept of "to service the customers by credit" and the management method of 'people oriented', we can provide the customers top quality AC Compressor Pulley with superior services. We believe that we can create more business opportunities for you, your profit is what we are seeking for, we wish to cooperate with you! sincerely welcomes friends of all circles to visit us. YI GUAN PRECISION CO. LTD is leading Taiwan manufacturer, supplier and exporter with well-equipped testing facilities and strong technical force. 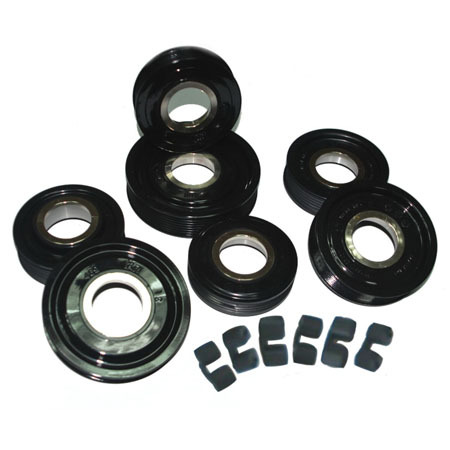 With a wide range, good quality, reasonable prices and stylish designs, our products are extensively used in AC Compressor Pulley and other industries. Our products are widely recognized and trusted by users and can meet continuously changing economic and social needs. More models of our products wanted, please contact us now! Suit for various types of Compressors Denso, Keihin, Sanden, Visteon, Delphi, ....etc.